The viewer will look at an abstract painting and try to decipher the marks in front of them. Often the painting they see is really an illusion or something they imagine. My paintings are an abstract enquiry into atmosphere, light, colour and the “sense” of land, water and sky without literal representation. I am interested in the stability/instability of a landscape image and the tension between mark making and actual form. 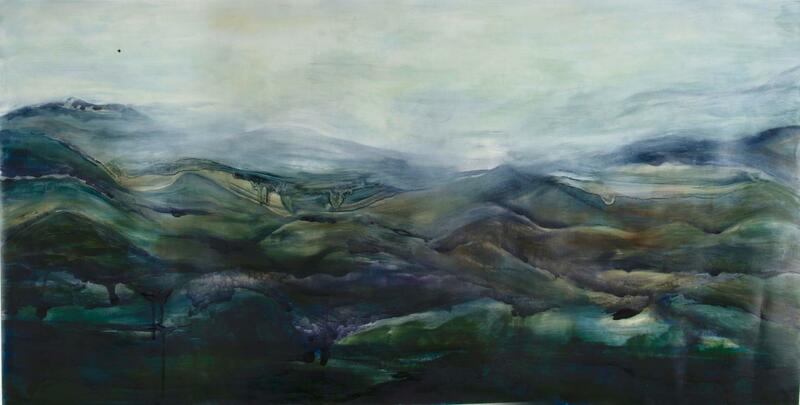 Julia Christey is a contemporary artist, living and working in Hamilton, New Zealand. She is currently completing postgraduate study (Honours/Fine Art) at Wintec. © Copyright 2019 The Framing Workshop. All Rights Reserved.